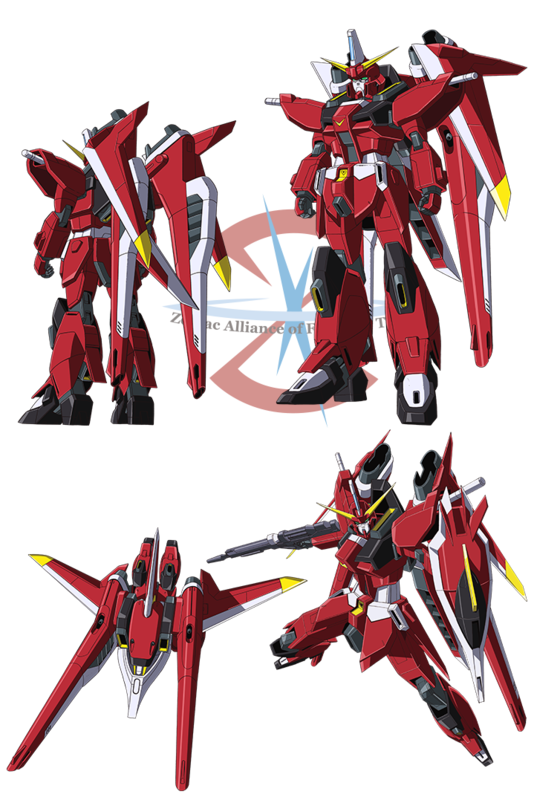 Saviour Gundam is one of the newest model of the Second Stage MS series developed by ZAFT. The unit is assigned to Athrun Zala upon his return to ZAFT. It is transformable to fighter-type MA. Saviour is fast and highly maneuverable, and therefore excels in aerial warfare. However, it is instantly defeated by the overwhelming power of Kira Yamato’s Freedom Gundam.